Buy-to-Let Property; have you really considered ALL of the costs? How much would it REALLY cost to purchase a buy-to-let property worth £250,000? For those of us who have accumulated some savings, the next natural process is to start thinking about spending them, or investing them. You may have stumbled across a property with good potential for a buy-to-let and at sale for £250,000 – that’s when you start seriously questioning yourself about growing a property portfolio. The first questions that we normally ask ourselves are ‘have I saved a big enough deposit and do I really want to be taking on a mortgage?’ and then there’s still the issue of passing the strict lending criteria in the first place. If a mortgage is required, this can often create a major hurdle for some, either due to not being able to gain enough credit or, more simply, that interest-based lending is forbidden to them due to requirements of faith. With any lending, your home will be at risk of repossession if repayment deadlines are missed – a risk that many people do not want to take against their hard-earned savings - and this is a problem that sometimes is created due to long tenancy voids. You can’t wait to put in a bid and set the ball rolling, but is there more you need to think about before committing to be a landlord? We decided to do a bit of research into the hidden costs of landlord and uncovered a whole list of charges that may previously have slipped your mind. In the current climate, it’s becoming harder to secure a mortgage needed to purchase a ‘buy-to-let’ property as financial institutions look to tighten lending, with sweeping tax changes also introduced over the last few years. Although there's a record number of buy-to-let mortgage deals on offer, it is doesn’t necessarily mean that mortgages are getting cheaper. To avoid being crippled by a huge mortgage, you’d likely have to put down a deposit of 40% and borrow towards 60% of the property value, plus interest. If you were purchasing a property with a value of £250,000, you’d realistically have to place a deposit of a staggering £100,000 in order to secure a mortgage at the best rate available. Once you’ve secured your mortgage, the next substantial fee to take into account is Stamp Duty Land Tax (SDLT). Recent changes to the system used in order to calculate stamp duty have hit landlords hard, and buyers can now expect to pay a staggering £10,000 in stamp duty when they purchase a property with a sale price of £250,000. Prior to April 1st 2016, the stamp duty due for a property with the same market value would have been just £2,500. Stamp duty can be a little confusing, but the government’s free calculator tool will show you exactly what you can expect to owe. Landlords are also required to hold a license for each property that they rent out. This varies by location as it is dictated by local councils, but often presents another stumbling block for the would-be landlord. For example, Liverpool Council requires individuals to apply for a 'fit and proper person check’ which costs £50. A license for your first property then costs £400, which each additional property costing £350 to license. Another burden to consider is letting agent fees. Letting agents can occasionally charge a flat fee but in most cases request a percentage of the rent you receive. Research indicates that you can expect to pay between 10% - 15% for a full management service – a notable slice of your newfound income. The government have also outlined plans to ban landlords from passing letting agent fees onto tenants. As with any cover, home insurance can present a hefty fee. A quick search on totallandlordinsurance.co.uk provided an annual policy with Allianz, with building cover, £10,000 of contents cover and loss of rent cover included, at a cost of £416.19, however, this did cover theft or damage caused by tenants and/or their guests. Statistics show that that on average, people in the UK now pay £1,012 in council tax - an increase from £756 in 2013. Council tax varies depending on location and property value, so you would need to contact your local council to find out exactly how much this you can expect to pay (although online calculators based on post-code can provide a rough estimate). The concern for landlords is that, according to the Residential Landlords Association (RLA), where a property is unoccupied and no tenancy exists, the landlord will still be billed for council tax. As you might expect, any profit generated from renting out a property counts towards your annual income and as such is taxable at the normal rates. The government defines your profit as the sum left once you’ve deducted any allowable expenses or allowances from your rental income. Up until the tax year ending in 2017 you could include the interest on your buy-to-let mortgage as an expense, however, as of the 2017-18 tax year this is no longer the case. Landlords are legally obliged to carry out a gas safety check every 12 months. A basic check with British Gas starts at a whopping £75, although other suppliers will carry out this service for a much lower rate, with prices ranging from £35 - £58. An Energy Performance Certificate (EPC) is another legal requirement for landlords. An EPC will typically set you back £35, but this is can depend on a number of factors such as property size and location, so a certificate for a large house in an expensive city could quite easily cost several times more. Since 1 October 2015, safety regulations have required landlords to install at least one smoke alarm on every floor and one carbon monoxide alarm in every room containing a ‘solid fuel burning appliance’. A quick shop around suggested that carbon monoxide alarms retail from £13 upwards, but it shouldn’t cost you anything above £30 for a more expensive model. In most cases, you should be able fit out a standard two-story property for somewhere in the region of £30. Along with the gas safety check and Energy Performance Certificate, these may not seem like steep charges, but they present another thing to think about. Once you’re all sorted with tenants finally in place, there’s then the possibility of maintenance and, as the years go by, refurbishment costs. From plumbing issues to electrical faults, any problems that your tenants encounter will be yours to solve. Extensive costs have contributed to UK being named as the 5th worse country in Europe for buy-to-let investment with an average rental return of just 4%. You can forecast all the costs, but one thing you can’t always forecast is emergency repair and tenancy void. If your property needs remedial work and is inhabitable, then you may be losing out on rental income. The same can be said if your tenant serves you notice, leaving with only a few weeks to find your next tenant, which could mean that you are months without the rental income you hoped for. 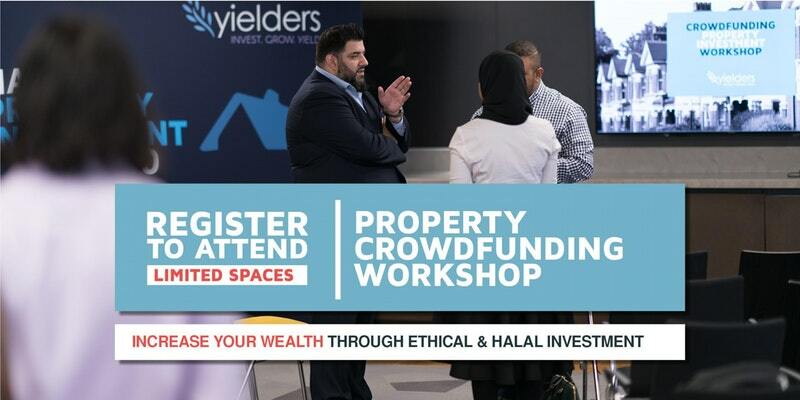 Yielders’ innovative approach to crowdfunding-based approach and innovative technology means that you can enjoy the competitive returns on offer through the property market without having to endure the endless list of costs and hassles outlined above. With investment opportunities available from just £100, Yielders allows you to build an affordable property portfolio with no debt and no interest. We look after all the maintenance of the property, the administration and, because we have prearranged tenancy agreements, you don’t need to worry about voids – so you can simply enjoy the potential returns on offer. 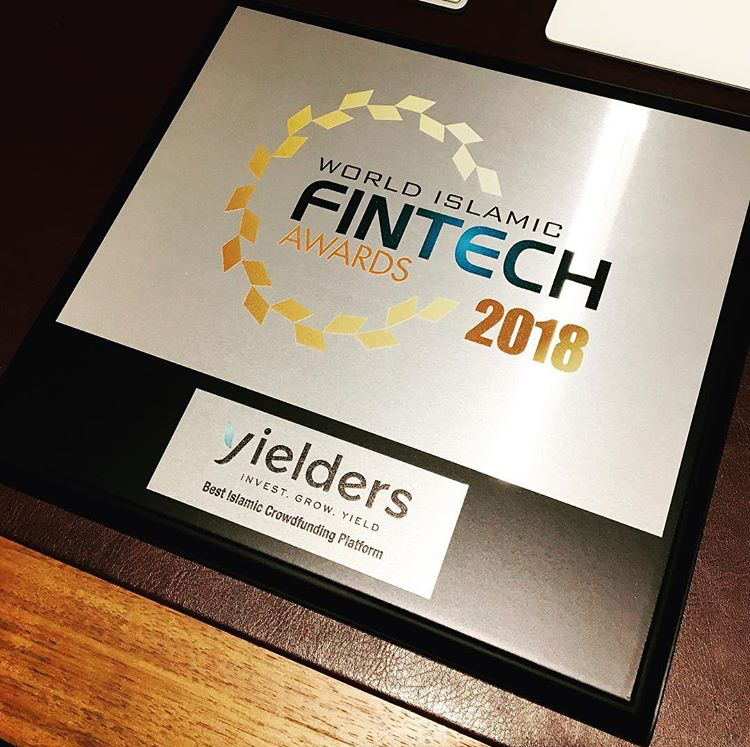 Yielders is also the UK’s first Shariah-certified and FCA regulated FinTech platform, with properties pre-funded and long-term tenancy agreements already in place.